Mike and I just got back yesterday from Hong Kong, so get ready for a set of posts about our trip! It was Mike's first time there, so he got to meet the rest of my extended family, and try all the good eats the city has to offer. 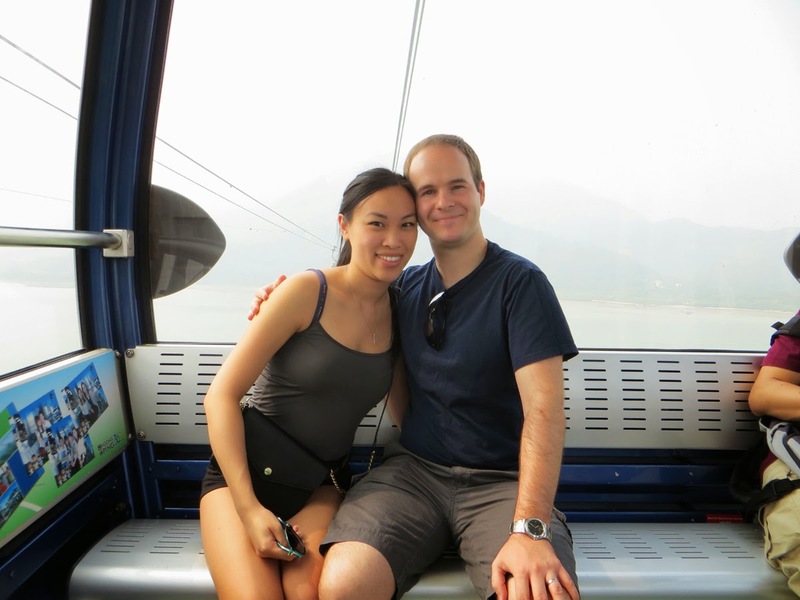 One of our first tourist trips was to Lantau Island. The metro system in Hong Kong (MTR) is super convenient. 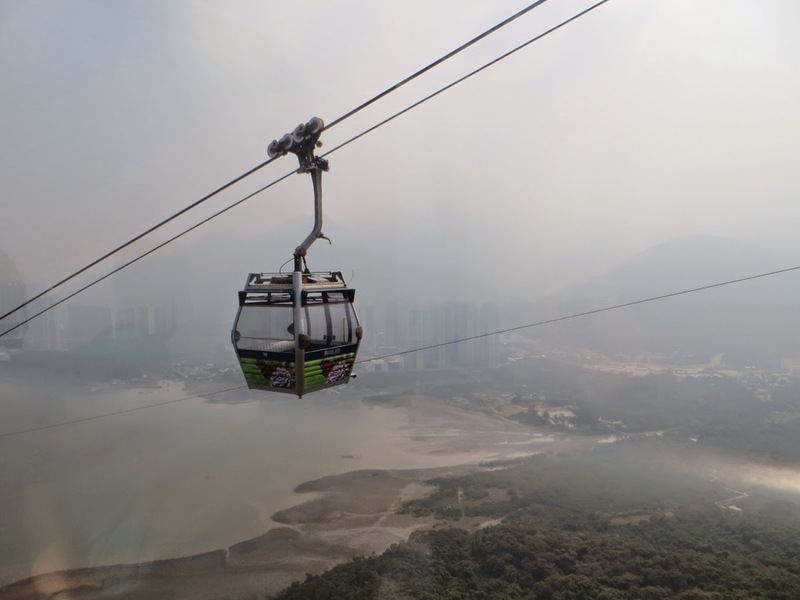 We got off at Tung Chung, which brought us right to the entrance for the cable cars to get to Ngong Ping (a super touristy village on Lantau Island). We purchased tickets for the Crystal Cabin, which has a glass bottom so I could fully bask in my fear of heights. Another benefit of buying this ticket was that the lineup was almost non-existent, whereas there was a huge line for the standard cabin! Both lines moved very quickly, but it sure felt good jumping the queue. The ticketsellers tried to upsell the guided tour package, but it was actually very easy to get around. If you go, I highly recommend seeing everything at your own pace. They said the bus lineup would take hours and that the bus trip (between Ngong Ping and Tai O) would be a half hour, but we didn't wait any more than half an hour and the bus trip was more like 10 minutes. The bus schedule said one every half hour but they definitely had more buses running than that - then again, we did go on a holiday so maybe they just added a few. 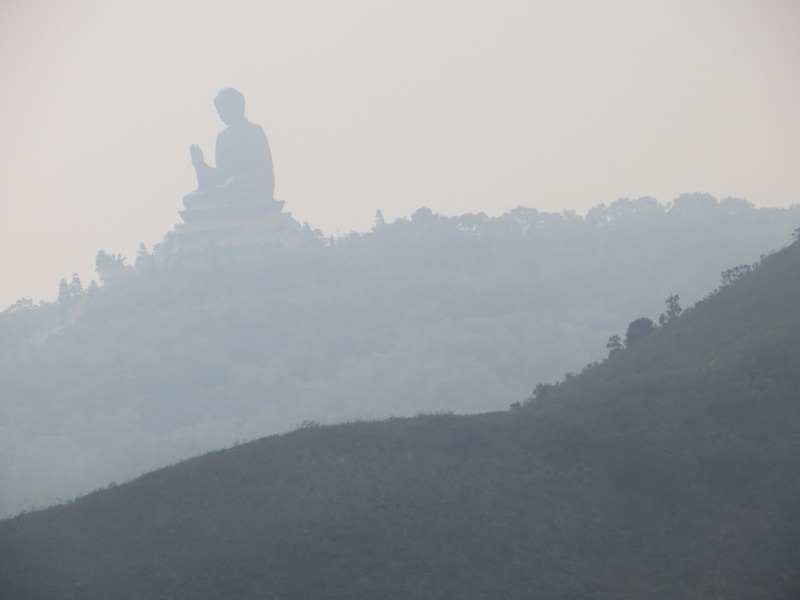 The main attraction at Ngong Ping is the Big Buddha. It's made of bronze, cost $60 million HKD (about $7.5 million CDN) and took 12 years to complete (erected 1993). It sits at the top of 268 steps (which, after Paris, was no big deal). 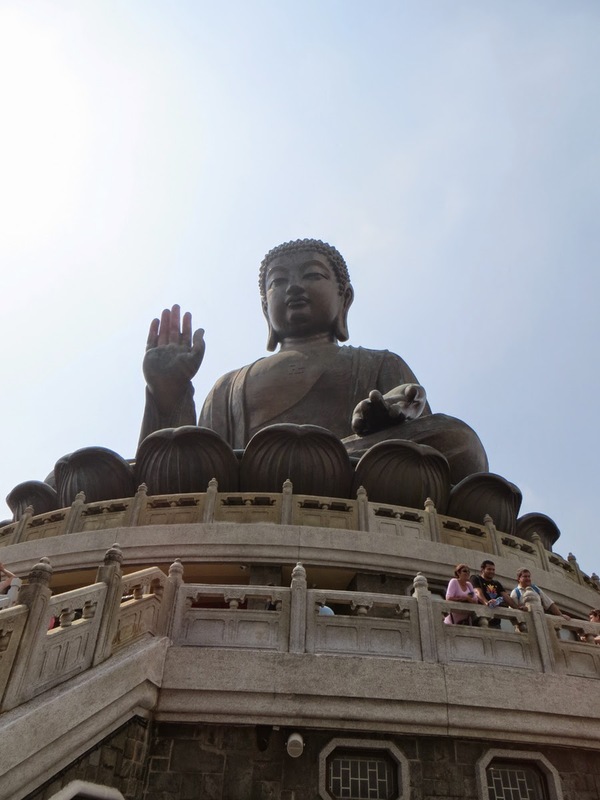 We were able to encircle the outside of the Big Buddha, but there was a separate fee to go inside. Afterward, we took the bus to Tai O, another part of Lantau Island, which was an old fishing village. 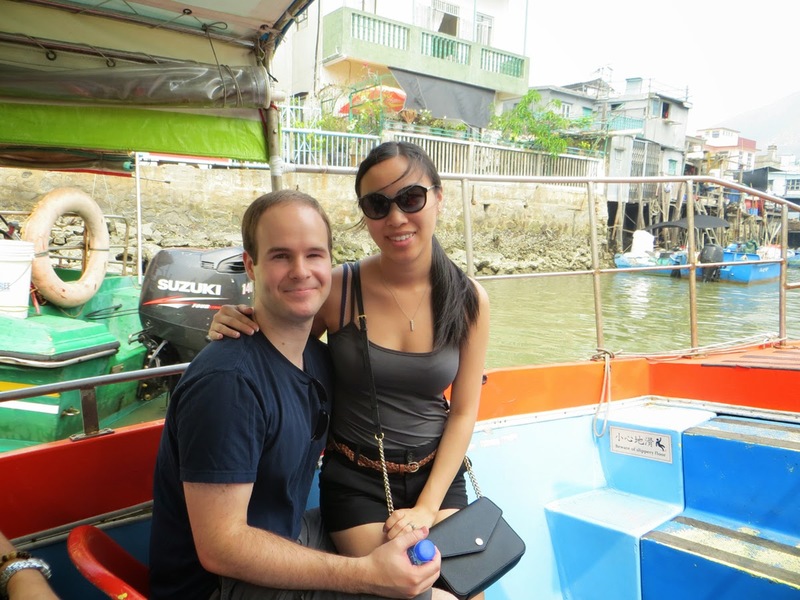 We went on a boat tour to see the stilt houses - they say there are dolphins around the area too, but we didn't see any. 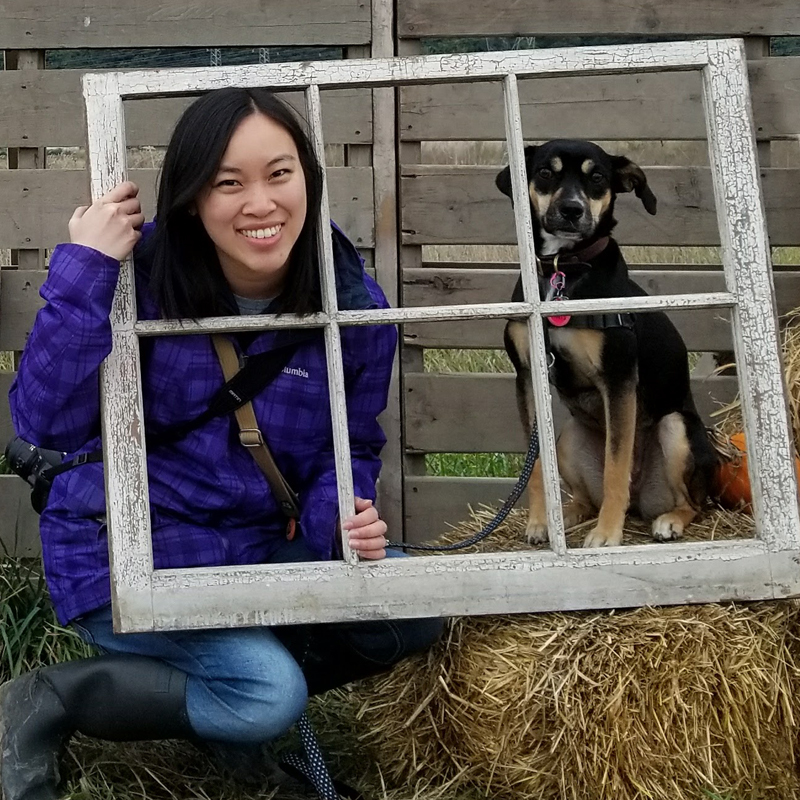 I kept feeling like the boat was going to tip over, especially when we were out on the ocean waves, but the captain got us back to shore in one piece. We then walked around the village, where Mike found that his limit on eating at flies-crawling-all-over-it. We had a few bites from places where others were lining up (yay for high turnover!). We were lucky to have great weather during most of our trip. It rained once but we were mostly indoors that day, so it worked out. Anyway, Mike and I hope to go back to Hong Kong again soon.